Lost at Midnight Reviews: Q&A with Author Corey Ann Haydu! Lost at Midnight: Before I start, I have to say how excited I am to read Making Pretty. 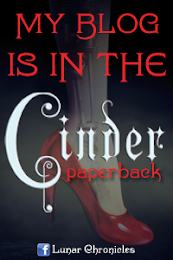 It sounds like it has a lot of elements I look for in a book, with a fabulous cover to boot! What was your reaction when you first saw the cover? Corey Ann Haydu: I first saw the cover when I was on vacation with my family in Portugal and I fell in love with it right away. I love that all my covers have these gorgeous colors - and this one might be my favorite color palate. I also love how arresting Montana's face on the cover is. And my favorite part is in the corner where there's a snippet of an image of a brick building in NYC. It looks EXACTLY like my very first NYC apartment in the East Village! I like to think it's the same building and it's a lovely coincidence. LM: As an only child, I'm constantly intrigued by sibling relationships. How would you describe the sibling dynamic between Arizona and Montana? And what was your favourite part about it to write? CAH: I'm intrigued by sister relationships, since I myself have a brother. I think sister relationships seem especially complicated. Arizona and Montana have been extremely close their whole lives - they've had a lot of though things to deal with in their family, and they've supported each other throughout. They even share a best friend. But MAKING PRETTY takes place the summer after Arizona's first year of college, and a lot has suddenly changed between them. I liked exploring how their closeness has shifted and how painful that shift can be. It's so hard when you're right on the same page with someone and then one day you simply aren't. Montana is struggling with that adjustment - realizing she and Arizona don't have all the same thoughts and feelings and lives anymore. LM: Another element I'm so interested in is the maybe-possibly-not-so-solid friendship between Montana and Karissa. Why do you think it's important to have such a focus on the ups and downs of friendships? CAH: I loved writing this relationship. I myself have often found myself in toxic friendships so I wanted to explore how and why someone ends up in one of these friendships, how sneakily they can occur. We spend a lot of time in literature examining love relationships, and in some ways I think friendship relationships can be even more complicated. There aren't so many rules or expectations in friendships, so they can take unlimited numbers of forms. Each friendships that we have is so unique, especially at younger ages. And in the case of Montana and Karissa, Karissa is an older friend - so power dynamics come into play a little bit, too. LM: What are some of the similarities and some of the differences between Montana and your previous two protagonists, Bea and Tabitha? CAH: I think all my characters share a self-awareness and honesty. But in some ways I think Montana is the most earnest, the one with the clearest desires and the most vulnerabilities. Montana is also the most uncertain, I think. She really isn't sure where she fits in, or even where she WANTS to fit in. I like that Montana is a city girl too -- Bea and Tabitha are both New Englanders, and this gives them a different flavor, I think. LM: What is one thing you hope readers of Making Pretty will take away from the book? CAH: I really want readers to think about how complicated our relationship with the word and idea of "pretty" can be, and the damage and the pressure to be perfect and pretty can be. I thought a lot about how painful our relationship with our physical self and other people's perception of us can be. I hope that resonates with readers. I also hope readers fall in love with New York City! I've lived here for almost fifteen rears, and I really wanted to capture what made me first feel that this place was my true home. LM: Finally, Making Pretty is being described as a "coming-of-age" store (AKA, my favourite kind of story). What would you say is your favourite part about coming-of-age stories? 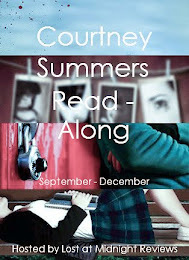 And do you have favourite coming-of-age books? Thank you SO MUCH for stopping by the blog, Corey! I didn't think I could be more excited for this book until I read your Q&A! 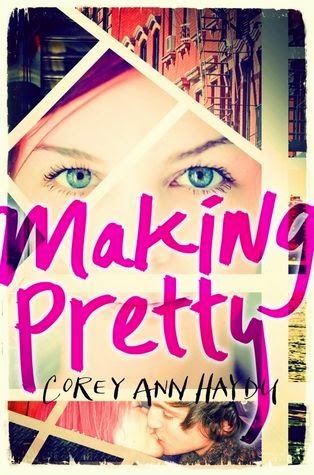 Making Pretty is OUT NOW! Run on over to your local bookstore and pick up a copy, or order from any of these fine retailers!